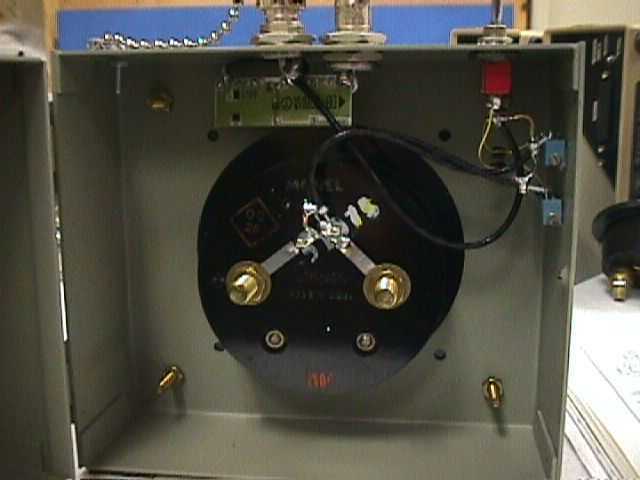 Outside case shot. 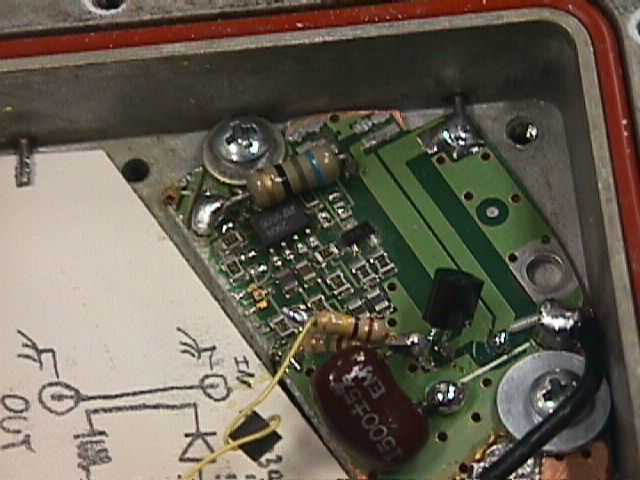 It is built into an old California Amplifier MMDS downconverter case. 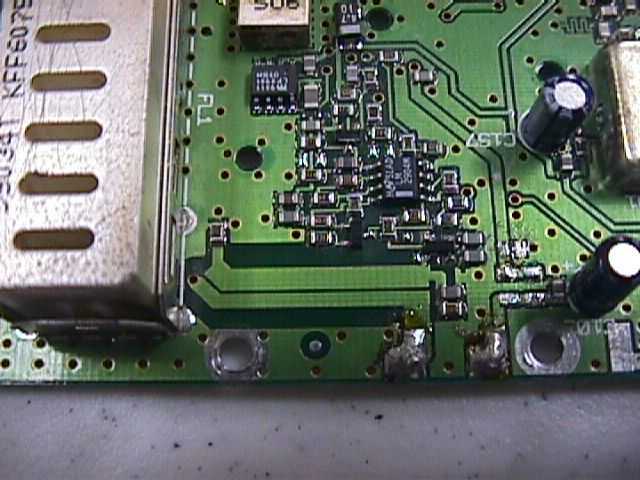 You can see the 50-ohm load on the top connector. 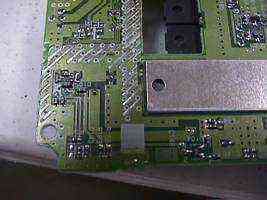 Nokia cellular phone directional coupler overview. 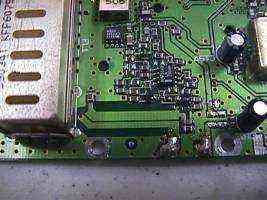 Nokia cellular phone directional coupler closeup. Microampere meter ballistic adjustment potentiometers. 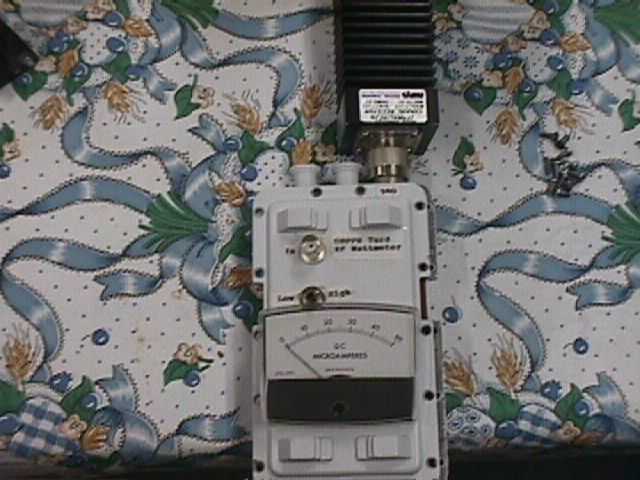 Overview of the wattmeter showing the directional coupler and the 50-ohm load. Diode detector side of the directional coupler. 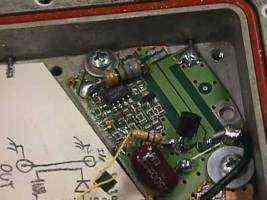 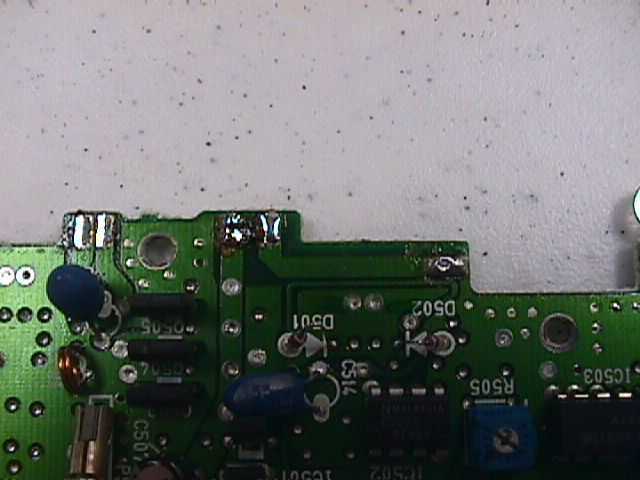 This particular board and diode where taken from an old brick-style cellular phone. 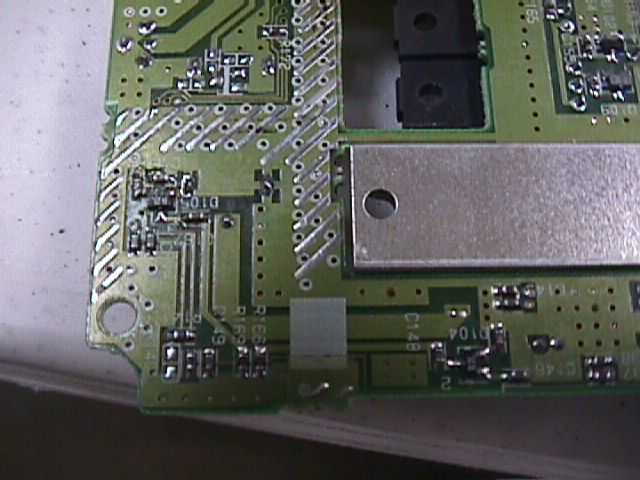 The little module board has all the necessary components aleady installed. The actual directional coupler. 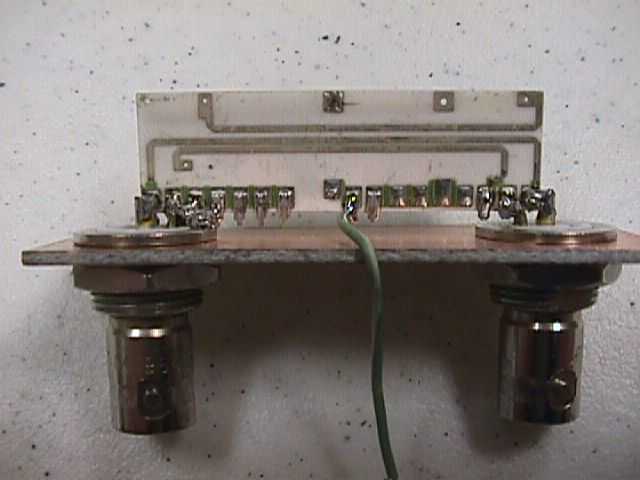 Frequency response should be good from to a few GHz. 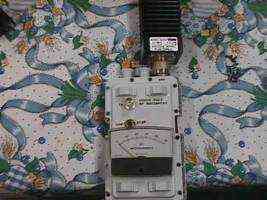 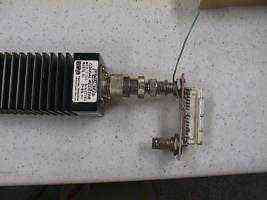 Power handling should be that of a typical cellular phone, which have power options from a few milliwatts to +6 Watts. 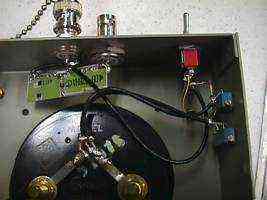 The coupling factor isn't known. 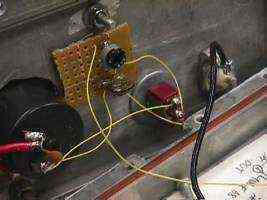 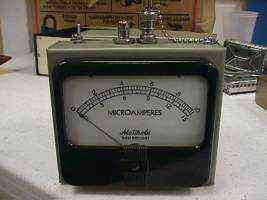 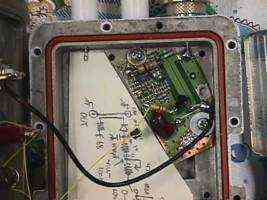 Picture of the coupler hooked to a analog microampere meter. 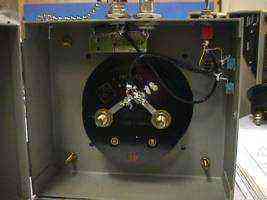 Another internal view. RF input/output is by the BNC connectors on top, the switch toggle between two 50k Ohm potentiometers to select low and high power modes. 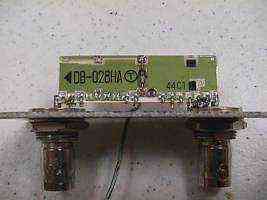 Directional coupler and detector diode from a Nokia cellular phone. 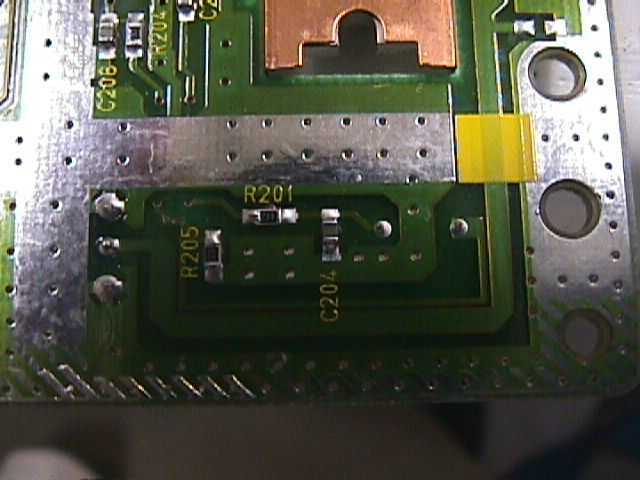 Directional coupler and detector diodes from a Toshiba cellular phone. This one has two coupler ports for measuring power and SWR. 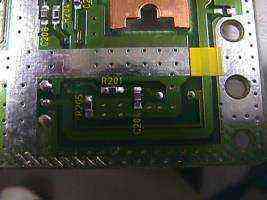 Directional coupler and detector diode from another Toshiba cellular phone. Directional coupler and detector diodes from a Motorola cellular phone. 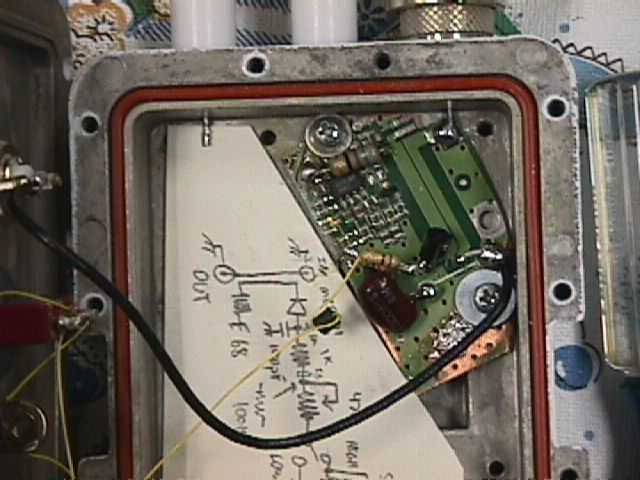 This one has two coupler ports for measuring power and SWR.